Is your North Reading carpet stained? No matter what spilled on your carpet, the professional carpet cleaners at Certified Green Team will get rid of the stain and restore every fiber to its original color. Call (617) 586-2586 when you need a stubborn stain removed from your North Reading carpet. Certified Green Team has been removing carpet stains in Middlesex County since 2009. 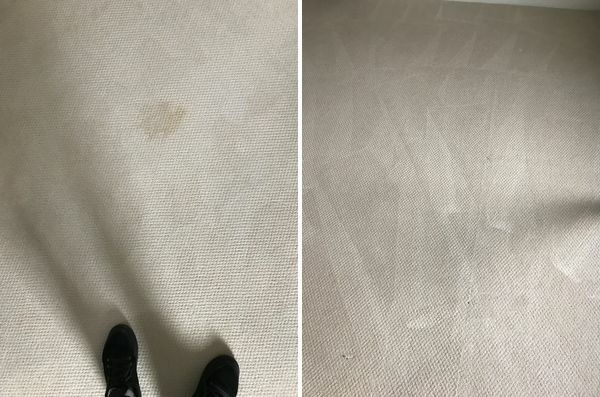 From household spills to commercial cleanups, our North Reading, MA expert carpet cleaners will make your carpet look like it was just installed. Restore your North Reading carpet. Whether you're a homeowner or a business owner in Middlesex County, you don't want an unsightly stain to ruin the look of your carpet. For professional North Reading carpet stain removal, call (617) 586-2586 today! Professional carpet stain removal in North Reading, Massachusetts. You care about your property, and so do we. Certified Green Team guarantees expert carpet stain removal in North Reading from any carpet, any location. From residential property (including automobiles, trucks, and recreational vehicles) to commercial property, our carpet masters will get rid of the stain and restore your carpet to like new condition. Call (617) 586-2586 today for expert carpet stain removal service in Middlesex County. We always give free quotes.